Protective clothing must resist tears, punctures, cuts, and abrasions because any damage can put the wearer at risk for exposure. 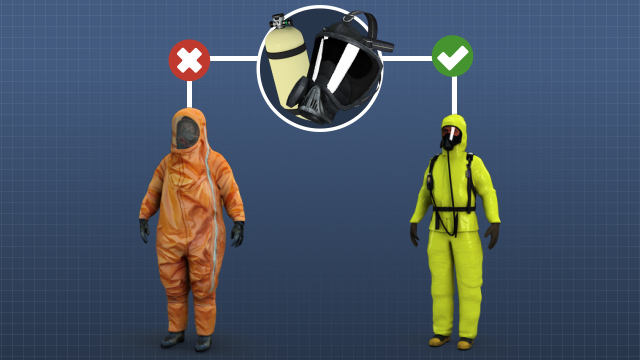 Component compatibility can impact protective clothing selection. 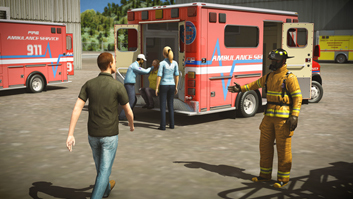 Protective clothing should only be selected by trained personnel. 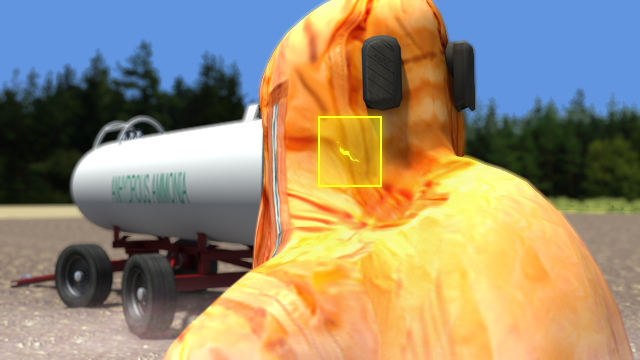 Chemical protective clothing is selected by comparing its capabilities and limitations to the hazards and required tasks. It is important to remember that no material is completely chemical resistant, and no material is effective for all chemicals. 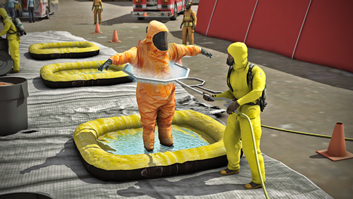 This module will describe important factors for selecting appropriate chemical protective clothing. Penetration is the movement of a liquid chemical through zippers, stitched seams, and pinholes or other imperfections in suit materials. Penetration is the result of manufacturing defects, physical damage, or normal wear. Degradation is a reduction in a material's ability to resist chemicals due to chemical exposure, use, or ambient conditions. For example, some materials may become stiff or brittle when exposed to chemicals. 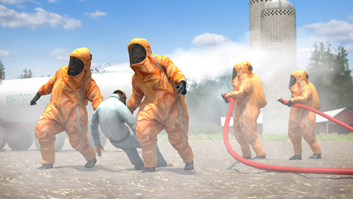 Protective clothing materials are rated by their resistance to degradation. Permeation is the migration of chemicals through protective materials on a molecular level. What factors affect permeation rate? The contact time, chemical concentration, temperature, and physical state of the chemical in question all affect how quickly it will permeate protective clothing. 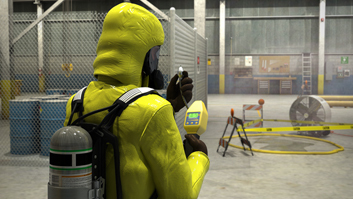 Breakthrough time is the amount of time from initial contact to when a chemical is detected on the opposite surface. 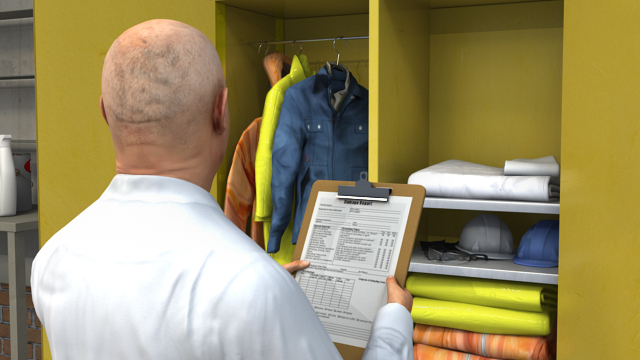 Selecting appropriate chemical protective clothing requires identifying: •	Potential hazards - what specific hazardous materials are present and how can they harm someone? •	Work requirements - what are the environmental conditions and what tasks must be performed? 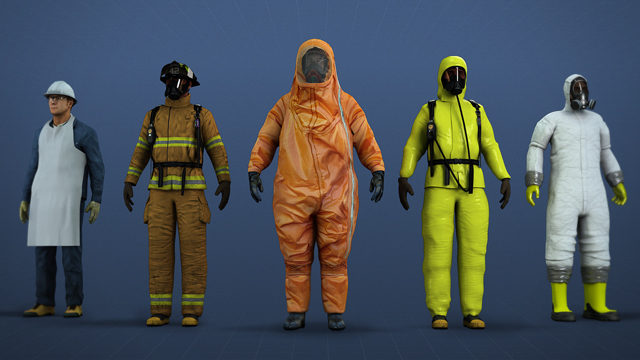 The capabilities of various chemical protective clothing ensembles can be compared to these requirements to determine which protective clothing will provide adequate protection while still allowing a person to perform their necessary duties.